Updated, 7:15 p.m. Thursday. This post contains a correction. California Sen. Dianne Feinstein wants President Obama to order an increase in water exports from the Sacramento-San Joaquin Delta to farms and cities to the south. In a letter released Thursday, Feinstein expressed frustration that more water isn't being pumped south from the Delta despite an increase in flows down the Sacramento River triggered by recent storms. She blamed the agencies in charge of overseeing court-ordered actions to protect the Delta smelt and other imperiled fish species. She decried "a dogmatic adherence to a rigid set of operating criteria that continues to handcuff our ability to rebuild" the state's water reserves. A dozen Republican members of California's House delegation sent a separate letter calling on Obama to act. "We ... need specific leadership from our chief executive," said the letter released by House Majority Leader Kevin McCarthy, R-Bakersfield. "That specific leadership is simple: a clear message to the relevant federal agencies to increase – not decrease – pumping over and above" levels that have prevailed in recent weeks. Exports from a federal pumping facility near Tracy are managed by three agencies -- the Bureau of Reclamation, Fish and Wildlife Service and National Marine Fisheries Service -- responsible for ensuring exports adhere to limits set in court-ordered plans to protect several endangered and threatened fish species. Those species include Delta smelt, Sacramento River winter- and spring-run chinook salmon and green sturgeon. The congressional push to ship more water south is part of a tide of criticism from San Joaquin Valley farm interests that more water isn't being intercepted for human use after years of drought. Among the loudest voices is the powerful Westlands Water District, a longtime Feinstein ally. Earlier this month, Feinstein appealed directly to the responsible agencies to increase pumping, saying there was little evidence that the affected species, including nearly extinct Delta smelt and endangered winter-run chinook salmon, would be harmed. The agencies responded that pumping was already at the limit allowed under court-approved biological opinions developed under the Endangered Species Act. In her letter to the president, Feinstein largely repeated her earlier criticism of Delta pumping operations, which she suggested are allowing massive quantities of water to flow out to sea that should be captured. She called for development of more flexible rules for deciding when pumping can be ramped up. "There are real-world consequences to the decisions being made in the Delta," Feinstein wrote. "Sixty-nine communities in the southern San Joaquin Valley reported significant water supply and quality issues. And land is caving, bridges collapsing, as a result of overdrawn ground wells and subsidence. That’s why we need to make sure we’re using every possible tool to make the right choices. Basing pumping decisions on better science and real-time monitoring is the least we can do." To understand a little of how the pumping limits work, it's necessary to consider how water flows in river channels near the twin pumping facilities -- state and federal -- in the southern Delta. Most of the water the facilities move is lifted into canals headed for San Luis Reservoir near Los Banos and points beyond. The pumps are so powerful they reverse the natural flow in a pair of channels called Old River and Middle River. That reverse flow, measured in negative cubic feet per second (cfs), can draw fish toward the pumps, cause them to get lost in the maze of Delta water channels and make them more vulnerable to predators. For the past six weeks, the pumps have been pulling water at a rate that, while well below capacity, has resulted in an Old Middle River flow of -5,000 cubic feet per second. Now, enter concerns about the Delta smelt, a species that biologists say is close to extinction. The Smelt Working Group, which includes scientists from a half dozen state and federal agencies, says the presence of smelt larvae in the Delta now may necessitate slowing down the pumps to reduce the negative flow to -2,500 cfs or less. A formal determination from the Fish and Wildlife Service is expected Friday morning. Jon Rosenfield, a conservation biologist with The Bay Institute, a San Francisco-based environmental group, said Thursday that Feinstein's letter virtually ignores the close, ongoing scientific scrutiny being brought to bear on Delta pumping operations and their impact on threatened species. "The senator has a long record of calling for the management of California resource to follow the science and to protect endangered species and our San Francisco Bay estuary," Rosenfield said. "But when she calls on the president to order increased water exports from the Delta, she's really denying the science that's there and the agency expertise that's determined how much water could be exported in this year." Rosenfield also challenges the often-repeated claim that California is allowing massive volumes of water to "waste" through the Delta to the Pacific Ocean. He says state and federal statistics show the lion's share of runoff from major storms through the end of February was captured for human use. "Between storage in upstream reservoirs, diversions, and exports from the Delta, people have captured between 65 and 75 percent of the runoff from the three major storm events that occurred between October and the end of February," Rosenfield said in a water season update earlier this month. 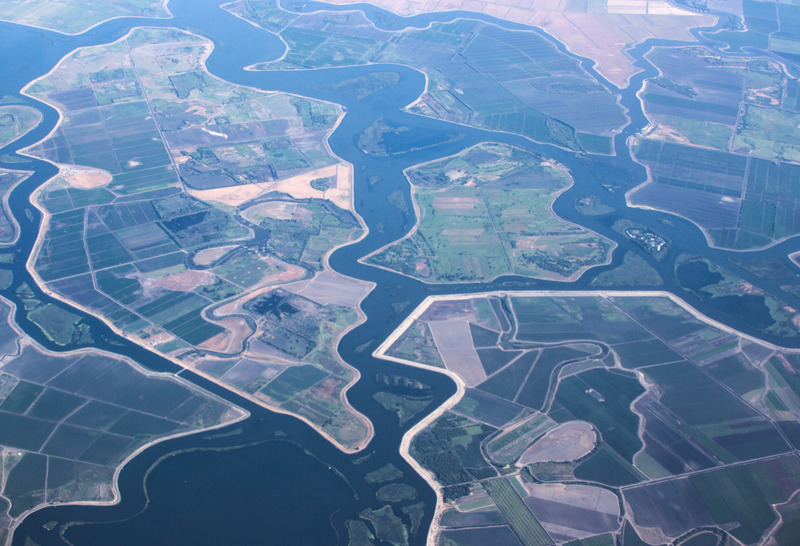 Rosenfield noted that just 25 percent of the natural flow of the San Joaquin River had made it to the Delta during the current water year, the rest having been dammed or diverted by water-rights holders upstream. He said the low flows in the San Joaquin -- which has also been affected by lower-than-average rain and snow in the river's watershed -- have played a central role in limiting exports from the Delta pumps. Despite these high flows, rather than pumping as much water as possible without undue harm to the smelt, pumping levels remained constant for the past month (see Chart B below). Coupled with the fact that only three individual smelt were caught at the pumps this year, and that the most recent trawls revealed no Delta smelt in the south Delta, it seems to me that the agencies operate the system in a manner that may be contrary to the available data, culled from what is already a limited monitoring regime. I understand that the biological opinions impose a ceiling of -5,000 cubic feet per second, but the agencies have the discretion to exercise at least some flexibility to pump above that level. To put this all in context, between January 1 and March 6 last year, 1.5 million acre feet of water flowed through the Delta and 745,000 acre feet were pumped out. During the same period this year, 5.5 million acre feet of water flowed through the Delta, but only 852,000 acre feet were pumped out (see Chart A below). If we can’t increase pumping during an El Niño year, then when else can we? Correction: The original post incorrectly referred to the names of channels that experience negative flows during Delta pumping operations. The correct names are Old and Middle rivers, not Old Middle River.